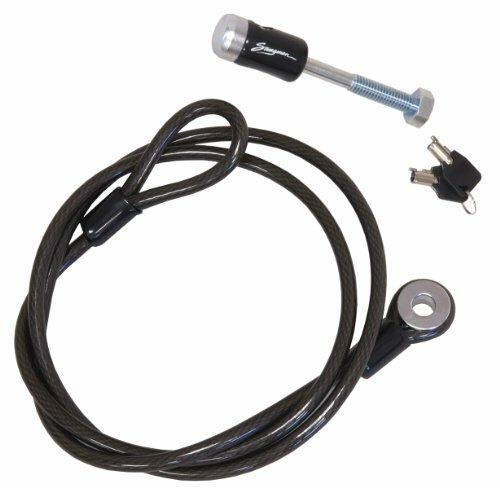 This 1/2" hitch pin locks your bike rack to your hitch; the integrated steel cable locks your bike to the rack. The hitch lock fits Swagman racks with 1-1/4" only shanks and 1-1/4" and 2" combination shanks. The 10mm steel braided security cable is 8 ft long and will fit through the bikes, attaching to the pin to lock your bikes to your bike rack. If you have any questions about this product by Swagman, contact us by completing and submitting the form below. If you are looking for a specif part number, please include it with your message.